The outdoor community must step up and become advocates & activists–NOW. Yesterday in Salt Lake City, the EPA held a public hearing on the Regional Haze Rule (think: Clean Air Act). You know, the seemingly no-brainer effort to clean up the air around Utah and some of it’s most beautiful outdoor spaces. I was incredibly, profoundly wrong in my assumption. As it turns out, the pro-coal attendance far overwhelmed the presence of outdoor advocates. Folks from Carbon County (yes, that’s really the name of the county) were actually shuttled to Salt Lake City by the busload to make sure the coal industry was heard loud and clear. Inside the building, the hearing was packed with these representatives, and Brody observed that there were hundreds more rallying outside as well. Brody told me they basically had to sneak into the event. He saw signs that said “Fossil fuels are beautiful.” When Caroline finished her testimony about the importance of cleaning up the air around Utah’s beautiful outdoor spaces and protecting the health of the state’s community, she noted that hardly anyone clapped. That scene is embarrassing. Look at the statistics for the outdoor industry: we generate $646 billion in consumer spending annually, and create 6.1 million direct jobs. That’s 6.1 million people whose livelihood is connected to the health of our outdoor spaces. In Utah, at least 82% of residents participate in outdoor recreation each year. So where were we during yesterday’s hearing? Why wasn’t there a loud and proud standing ovation when Caroline concluded her speech? And none of this includes the much more obvious fact: this isn’t just about our parks, this is about the air you breathe every single day. In parks, in cities, everywhere. This is about the air you breathe, the air your families breathe, the air that future generations will be breathing. Do I have you riled up yet? Good. Here’s a place to start taking action: You can submit formal comment on this Clean Air Act until 3/14/16. The outdoor community needs to do more than just love our outdoor spaces: we need to become strong advocates and activists for the issues that affect our industry. Not just clean air, but on a laundry list of initiatives that need our support, from the Land and Water Conservation Fund to wildfire funding. And don’t even get me started on the public lands heist. If you truly care about the places you play, you need to do something about it. Posting beautiful Instagrams of Arches National Park won’t mean anything when the air there makes you ill, and saving up for months to buy a new ice axe won’t matter when global warming means your favorite routes never get cold enough to freeze. When your favorite forest burns to a crisp because you didn’t speak up about the importance of wildfire funding–that’s all on you. Sign those petitions, they matter. E-mail, call, and tweet your representatives–they’re listening. Attend community events, share these issues on social media, support organizations like Outdoor Alliance and Protect Our Winters. The outdoor community has such potential to be so strong and so loud and so impactful–let’s make that happen together. Disclaimer: Opinions here are my own and are in no way affiliated with OIA. But if you want to learn more about OIA’s stance on this issue, check out this recreation alert. For more on OIA’s climate change policy, read more here. Great post! I work in the environmental field and I get so frustrated when some of the big players in the outdoor industry don’t put their money where their mouth is and support more environmental causes/organizations. Not saying there are great companies doing a lot of good, but so many could be doing so much more. We could all be doing so, so much more. There are definitely a lot of companies that are really picking up the slack, but imagine the impact we could have if EVERYONE stepped up to the plate. *swoons* It’d be like my ultimate industry fantasy. Great post! So many people these days think passively support of an idea is enough, but it does nothing if no one knows about it. Thanks for sharing, I will be submitting a formal comment! I cannot believe so many people showed up to support coal! It’s likely workers who were told there would be lay offs if environmental policies were put into place. SLC has such a bad smog problem when the wind isn’t blowing, when I was there in December I couldn’t see the Great Salt Lake because of the smog! Honestly, the big show was likely because the big coal industry was able to fund getting those folks out. I wouldn’t be surprised if they footed the bill for a day off for all these workers, their transportation, etc. etc. 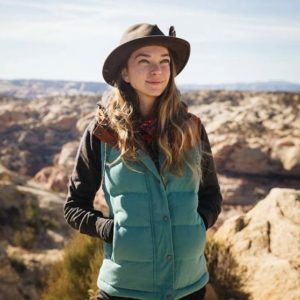 Sadly, money makes your voice louder..
Hey Katie – thank you for putting together this article, and an equally energetic high five to Brody and Caroline for putting themselves out there and representing the outdoors in that forum. Those things are tough, even when you are a “professional” activist like me. You can guarantee that the coal company paid for those signs, paid for the busses to get those people in, maybe even paid them to be there. That is what we are up against in the ragtag environmental community – the big money has essentially unlimited resources to squash any reasonable discussion about conservation and balance – they drive the “everything you own is created by coal and so we should be entitled to unfettered access” argument. Whether it is coal, natural gas, or public lands grazing (the Bundy fiasco) – it is driven by selfish, entitled whining. About your main point – I commonly talk about how the environmental/conservation community has less than 5% of the public in our camp. That naturally, some people just get it and involve themselves in these issues. The challenge that I confront every day as the Communications Director for the Intermountain West with American Rivers is to try to appeal to that “next 5%” – how do I get that snowboarding/river running bartender to care enough to speak up, show up, or stand up for the places where we all love to recreate and enjoy. The trick really is to be telling the stories of these people and these places in a language that our AUDIENCE is already talking and thinking in, not in the language that us conservation weenies talk it – that is our language and we have to be more sensitive to where the people we are trying to reach actually are, not where we want them to be. While Caroline and I disagree occasionally, I fully appreciate her and people like her who are willing to try to spark a conversation about these things and try to bring a reasonable discussion forward. Unfortunately, as illustrated by your article (and her fabulous photo) the opposition has no interest in reasonable discussion. That is the sad part of the story. Again, thank you for your article – well done. Thanks for the great comment and feedback Sinjin. This really hit the nail on the head for the work that I do at my dayjob: “how do I get that snowboarding/river running bartender to care enough to speak up, show up, or stand up for the places where we all love to recreate and enjoy” – the community is so huge, we just have to figure out how to tap into them and get them activated. If one of us finds the true answer, it’ll be a game changer. I love everything about this post. It’s so easy to forget that there are so many people who don’t see what we see as “obvious”. Thank you for the excellent reminder, and for the few “act now” steps we can take right away! <3 Thanks for the comment. Even I can be a pretty crappy advocate sometimes, and I hear about this stuff all the time for work. For someone who is totally removed from the politics of it all, it's easy to understand why they aren't involved (yet). Now it's our job to get them aware and engaged! I’ve been frustrated with outdoor photographers lately (myself included), who just take lots of pretty pictures but don’t DO anything with them except post them to get likes. It’s something I’ve been trying to figure out for myself – what can I do to actually make the photos I take meaningful? This is a great reminder, and a great call to action. Really enjoying your blog! Great post. So true! Thank you for sharing! Thanks so much for the awesome info it makes me sick to see stuff like this. It still shocks me that even though the Organic, Fair Trade, sustainable, and eco friendly companies and movements have made great strides and are gaining popularity we ares till the HUGE minority. On a lighter note, I’m hearing a lot of buzz a company called Herban Nectar. Theyre all organic fair-trade and sustainable. I think they may be new so i’m not finding them on any of the lists of out door, health and beauty, or outdoor sports blogs. I love trying new skin products but I’d prefer to see some reviews about it first. The website is http://www.HerbanNectar.com does anyone know about them or can anyone give me some insight I’d appreciate it!